Hello All! 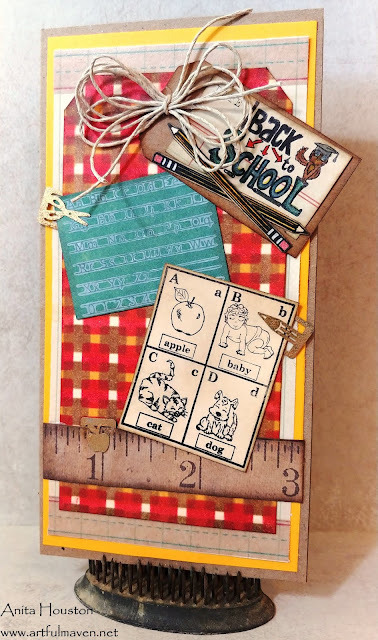 Life's been crazy getting kids off to school and college, and I've been sick for about a month...ugh...but August is almost over and I had to get these samples out to you from my new Holiday Collection Stamp Series for August, from WeCraft. Hopefully, life will get back to a more regular crafting schedule! Hope you enjoy. For this Back to School card (Great for teachers and students, or a school days album cover! ), I made the background using a Wendy Vecchi technique with her new Blendable Dye Inks from Ranger and Square Grate Stencil from Stamper's Anonymous. To made the plaid background, I laid the stencil over my surface (a tag), and using three colors of ink (lightest to darkest since these blend so well together) I inked in the first color Sunflower. Then I moved the stencil up a half square away and inked in with Red Geranium. Then I moved the stencil one more time over to the right one square, and in the middle of where the other two colors meet (Make sense?) and inked in Acorn. It's such a cool technique and the possibilities are endless on plaid combinations as you will see more below. 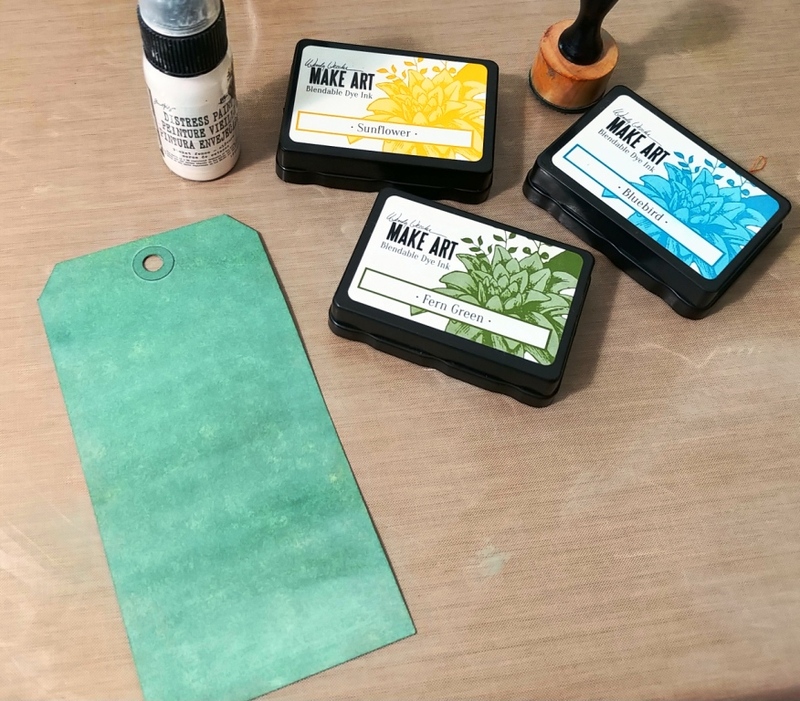 To make the chalk board look on the Handwriting Alphabet Stamp, I inked over the tag with Fern Green, then over that Bluebird, and finally Sunflower over that. Then, I lightly went over that with Picket Fence Distress Paint from Tim Holtz, and smudged it in...perfect old chalkboard look!!! I had the cute paperclips in my stash purchased in London, and gave them a gold painting. 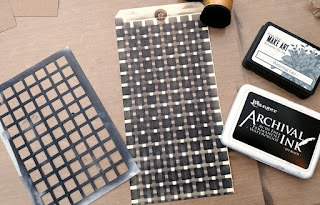 The ruler is from a Tim Holtz Paper Stash and his Design Tape in Elementary (LOVE this design...like a Big Chief Pad!). 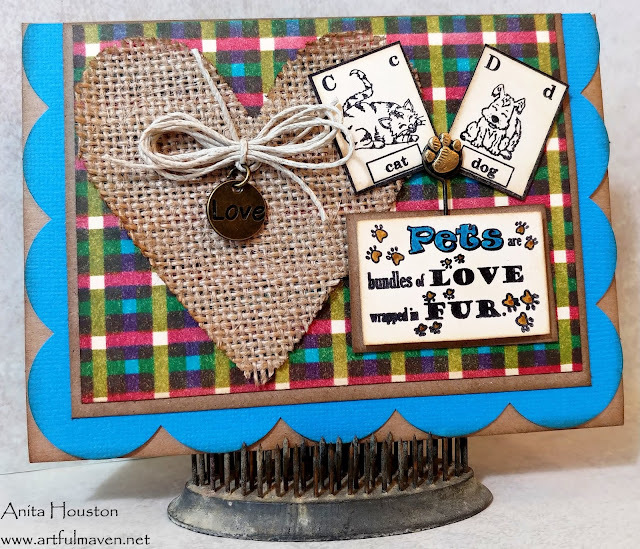 For this Pet Card (perfect for new pet owners, giving a pet gift to someone, sending money to a pet foundation, and as a sympathy card for a pet owner), I used the same background technique in another three colors of ink. I used Bluebird, Red Geranium, and Fern Green, but this time I covered a whole piece of paper to see if I could continue the pattern...YES, you can! It's making a whole masterboard for several projects! 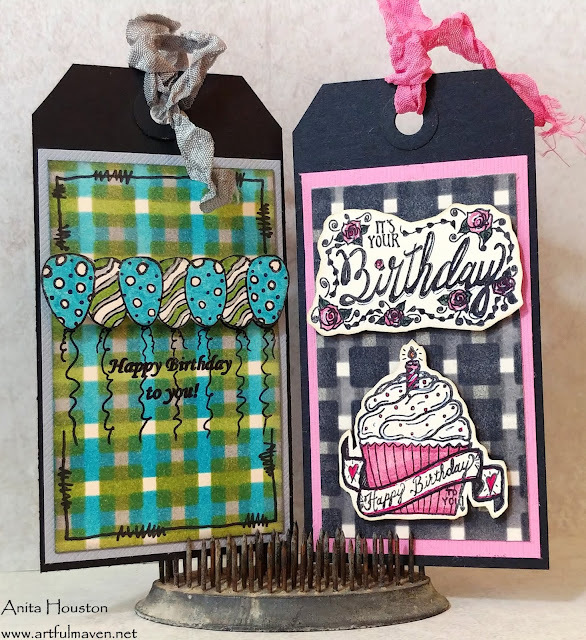 The other images on the set are for birthdays, so I made a more masculine and a feminine birthday tag using the images, and of course more plaid backgrounds. 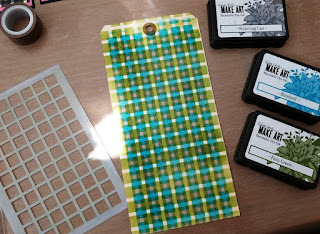 I cut them images out and foam taped them in place with Ranger's new Clear Foam Tape (LOVE THIS STUFF!!!). I used Watering Can, Bluebird, and Fern Green on the masculine one. For the feminine one, I decided to go more monochromatic and do like a buffalo check. I started with Watering Can first, very lightly, then Watering Can again heavier though, and finished with Jet Black Archival since Wendy doesn't have a black yet. I LOVED this one. I'll be back soon with my final stamp set in the series, September. 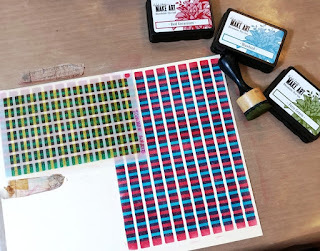 Until then, thank you so much for stopping by, and for supporting my new stamps! Hugs! I love your cards. I hope you'll be healthy soon. Such wonderful backgrounds! 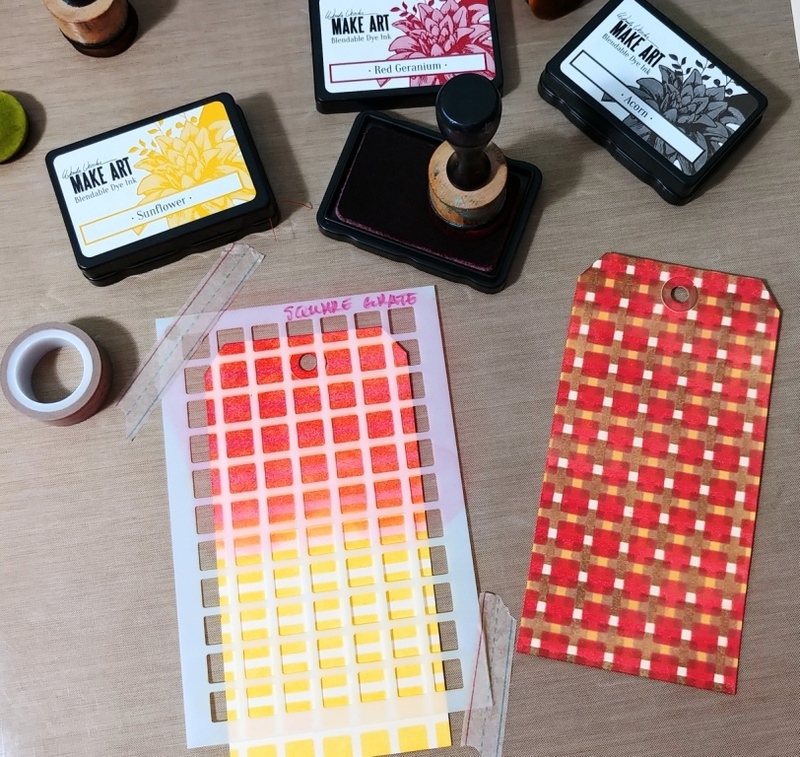 I need to get these new bendable inks because the colors are so fabulous! These are the cutest stamps! I especially love the little flash cards! Hope you are feeling better, my friend! Anita, I am so sorry that you have been so unwell, I hope you are feeling much better soon! Oh poor you - I do hope you are feeling better now, and continue to improve. Congratulations on another brilliant stamp release - so perfect for those special occasion cards and gifts. Love the samples - especially that amazing stencilled plaid - so clever! she’s back! they look great! Feel better! Your stamps are awesome!! Wow your stamps are so fun! Your samples are beautiful and I do hope you feel better and whatever it was that had you down is long gone! Huge Congratulations Anita on another stamp release! Sending best wishes for all the success in the world! Anita, these are fabulous!!!!!!! Love your backgrounds and really need to give this a try!! !